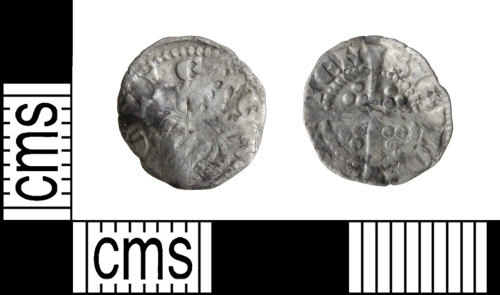 A silver medieval farthing of Edward I, dating to the period AD 1282-1291. Solid long cross with four pellets in each quadrant reverse type, London mint, Withers type 14. A silver farthing of Edward I, 1282-1291, London mint. Withers Type 14/18, North 1054-1055. A silver farthing of Edward I, 1282-1291, London mint. North 1054-5.